Police officers play a vital role in societies by upholding and enforcing the law and safeguarding citizens. 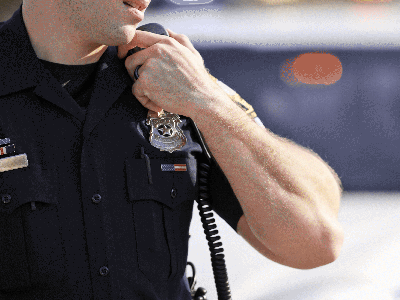 Becoming a police officer requires a rigorous amount of training. You also need to meet a wide range of qualifications before you can even be considered for the job. The reason for this is simple: police officers are a society’s first line of defense. In Dallas, Texas, the population is roughly 1.24 million, making it the 9th largest city in the United States. Furthermore, the city is quickly becoming one of the fastest growing cities in the country. Due to its size and the fact that it has one of the most populated metropolitan areas in the country, the police force in Dallas is required to be top notch. If you are interested in becoming a police officer in Dallas, Texas, here’s what you’ll need to know. What are the requirements to become a police officer in Dallas? For anyone seeking to become a police officer in Dallas, Texas, certain qualifications need to be met beforehand. If you meet the basic requirements, you will then proceed to submit a formal application and undergo a series of physical and psychological tests. You will also need to undertake training at the police academy before you enter the force. If you clear the above, you will need to go through a series of interviews with the DPD police officers and supervisors. This will allow them to assess you as an individual. You will also have to pass the Civil Service test before you can start on your application. You will need to clear a number of tests including a thorough background check and psychological evaluation. You will also need to clear a medical evaluation and drug test. What does the Dallas Police Training Academy entail? Recruits will spend 20 weeks at the Dallas Police Department’s Basic Training Academy where they will learn all of the necessary skills required to become a police officer. This training involves both theory and practical training including firearms training, fitness training, as well as studying law enforcement procedures and techniques. Given the fact that Dallas is one of the largest cities in the country, it also employs one of the largest police forces in the country. Data from O*NET OnLine suggests that this profession is expected to see a 5%-8% growth between 2014-24.